Flames that burn a different color than red or orange are quick to grab the attention and curiosity of the people around you. This is especially true when a colored flame emerges from what seems like a standard lighter. The color that a flame burns depends on the chemicals that are being burned up. When copper is heated up in a fire, it can cause the flame to burn green. 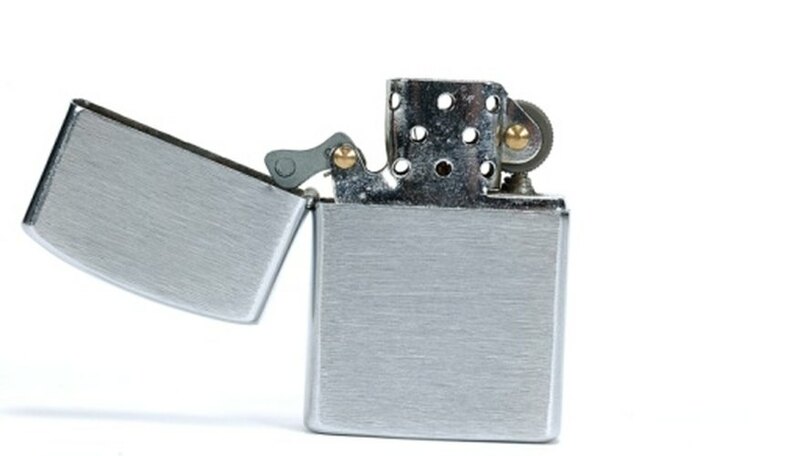 By adding copper to your lighter, you can make its flame become green. Weave thin copper wire through the holes at the end of your lighter. Go through each hole once; you want enough copper exposed to the flame so it turns green but not too much so that there is no room for air to get in and feed the flame. If your lighter does not have holes at the end, look for places where you can tie copper wire so that one or two strands of wire hang over where the flame comes out. Tie off the ends of the wire and cut away excess material with wire cutters. Ignite the lighter. Initially the fire may still burn red, but as the copper heats up it will eventually turn the fire green. Avoid putting copper down the wick or into the fuel tank of your lighter. You may cause the lighter to malfunction.